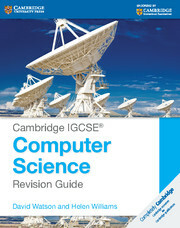 Cambridge IGCSE® Computer Science provides a comprehensive coursebook that covers recent developments in computer science. 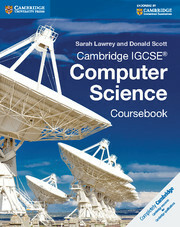 It offers support on theoretical and practical aspects of the Cambridge International Examinations Computer Science (0478) syllabus, written by experienced computer science trainers. The coursebook contains detailed explanations of the concepts required, with examples and tasks to help consolidate knowledge, and introduces the foundations of programming that students need to learn. 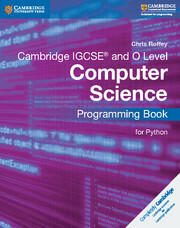 A Programming book is also available for this course to support students develop their practical programming skills. 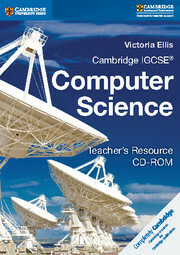 Task-based learning builds up skills, guiding students through projects and providing examples of real coding solutions.